"True happiness is found in simple, seemingly unremarkable things"
Ringo and JD find their happiness in one another. 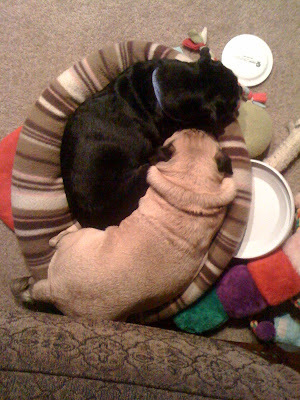 It makes me smile to see that they fell asleep a bit in the shape of a yin-yang, which shows just how much harmony exists between them. What little things make all of your days extraordinary? that is what makes my heart sing.